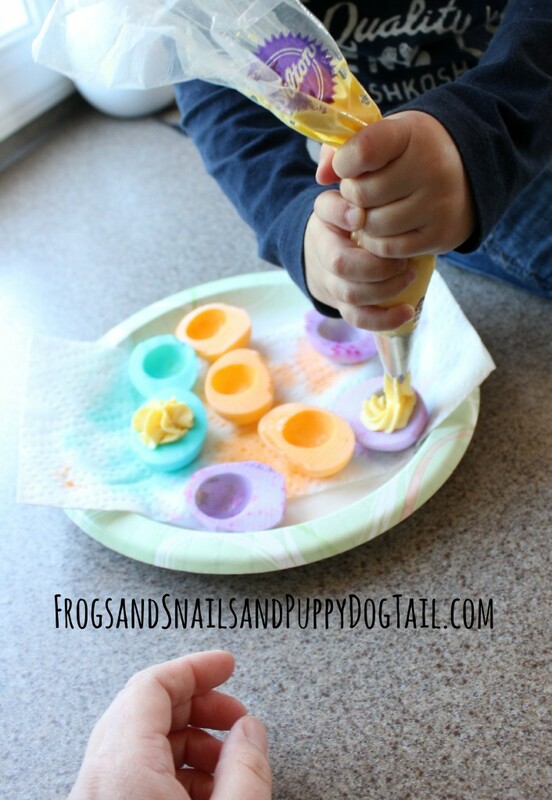 This weeks A-Z cooking with kids is all about EGGS! How awesome is that with Easter this weekend? 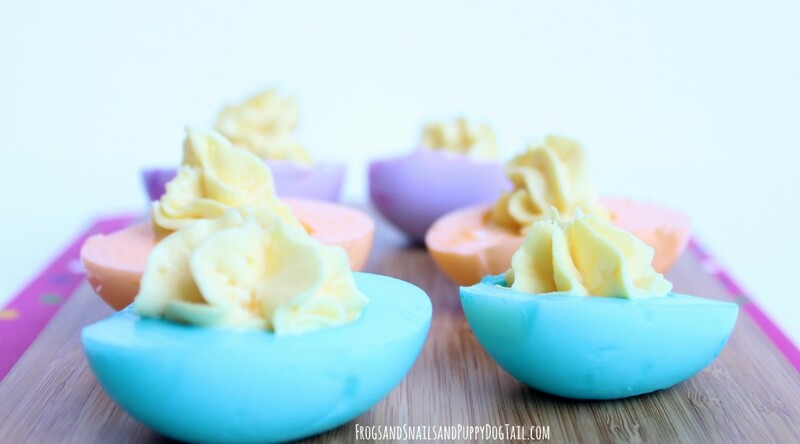 We made some of our traditional deviled eggs with an Easter twist. Getting the kids in the kitchen with me is always fun. You never know what will happen. But for the most part things went pretty smoothly today. I can not say they liked them but we did have a lot of fun making them and I love passing down traditions. 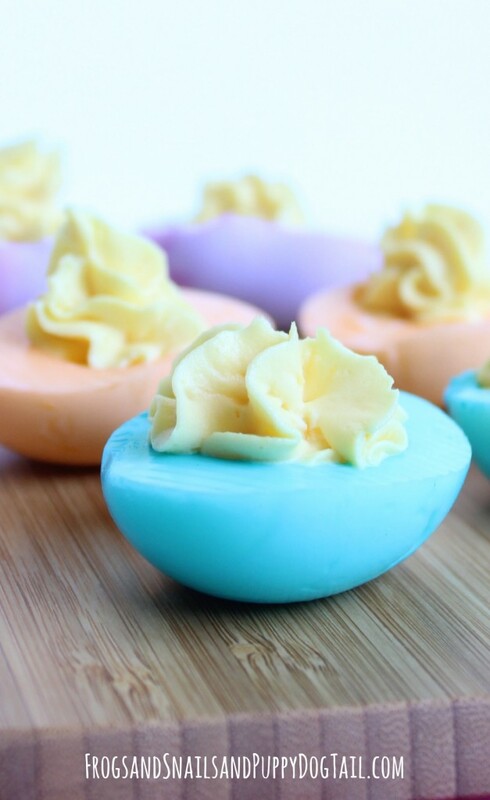 One day they might make the best deviled eggs for their family or be the ones to bring a dish to a family Easter celebration. It is always good to know how to cook. Because people like to eat. 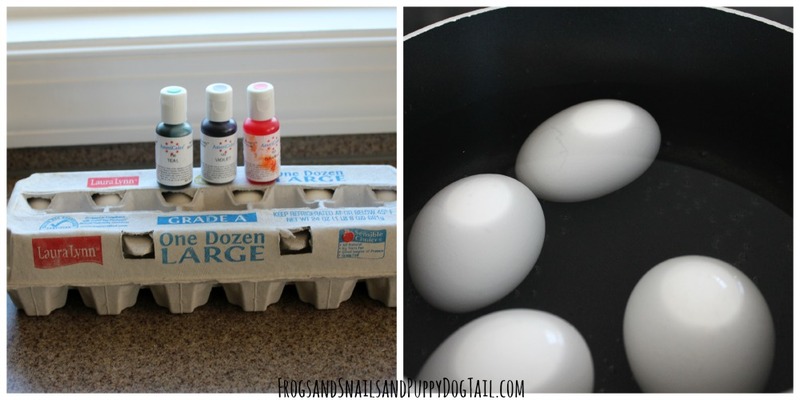 First boil the eggs for 15-20 minutes. Then let cool. While the eggs were boiling we put out 3 glass bowls. 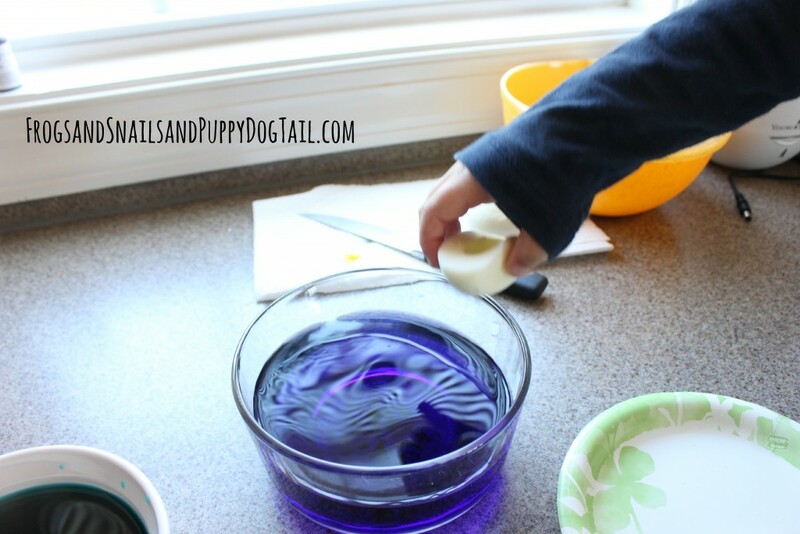 I dropped food coloring gel into the bottom of the bowl. We used orange, teal, and violet food coloring. 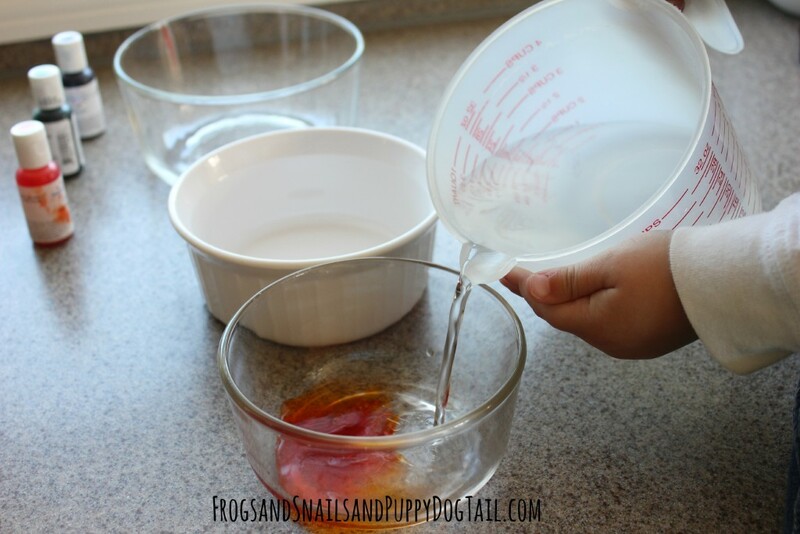 After I added the food gel my son added water to each bowl. 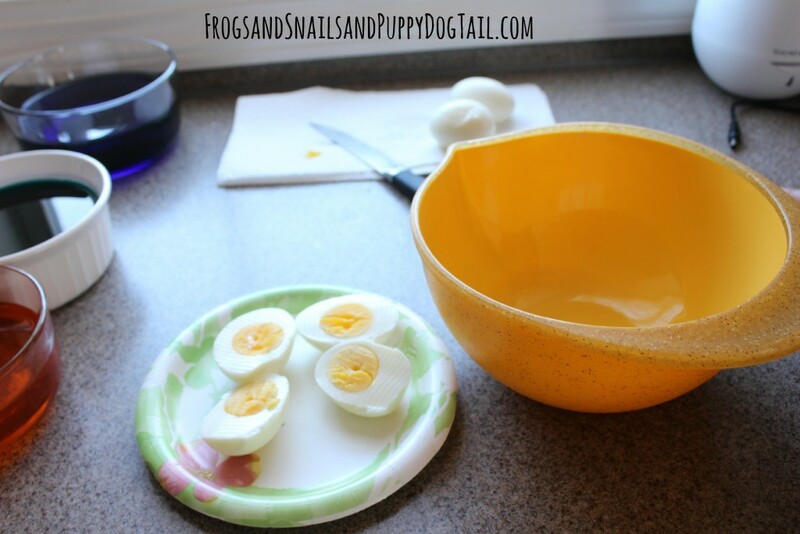 Once the hard boiled eggs had cooled we took the shell off. They helped a little but I did most of it. I then cut the eggs in half. I got out a mixing bowl and got out a frosting bag. 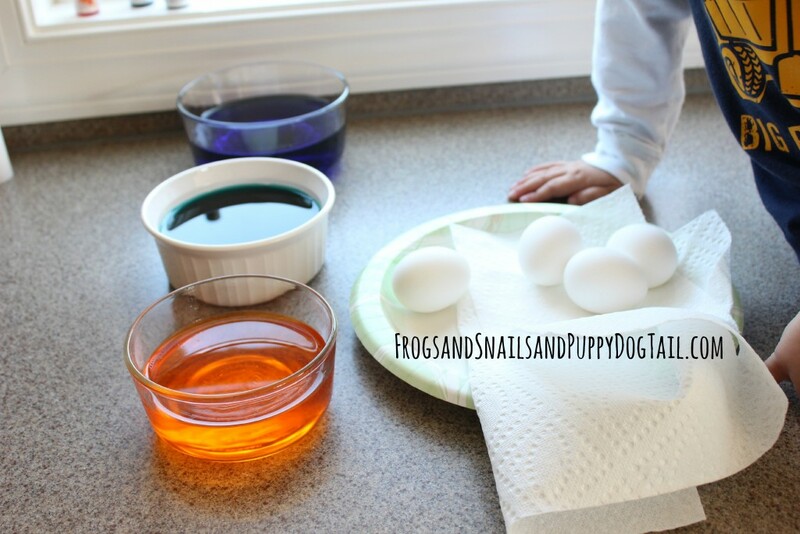 After removing the yolks into our mixing bowl my son added the egg white part to the bowls with food coloring. We set a timer for 15 minutes. While we waited for the eggs to dye we started on the egg filler. 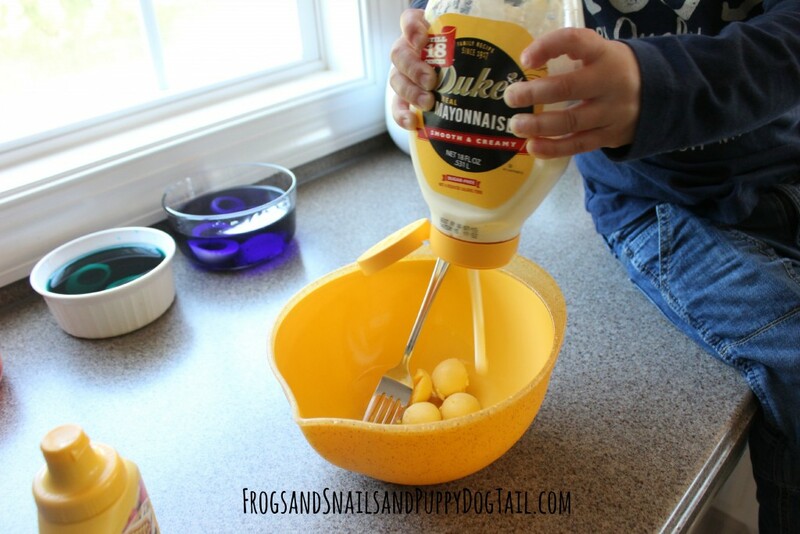 We added a few squeezes of mayo to our yolks. Next was a tiny squirt of mustard. Last a little dash of salt. Now mix it up. You want it to be mixed well. I use a fork so I can also mash it as I mix. 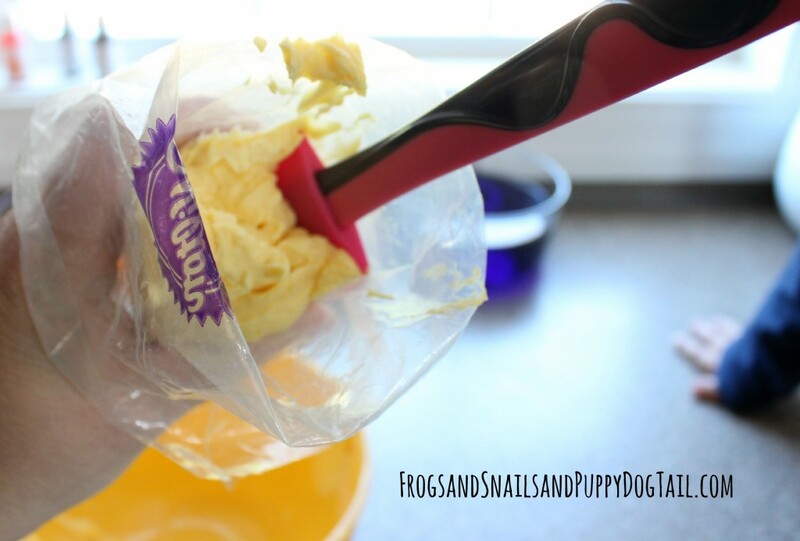 Add the mix to the frosting bag. 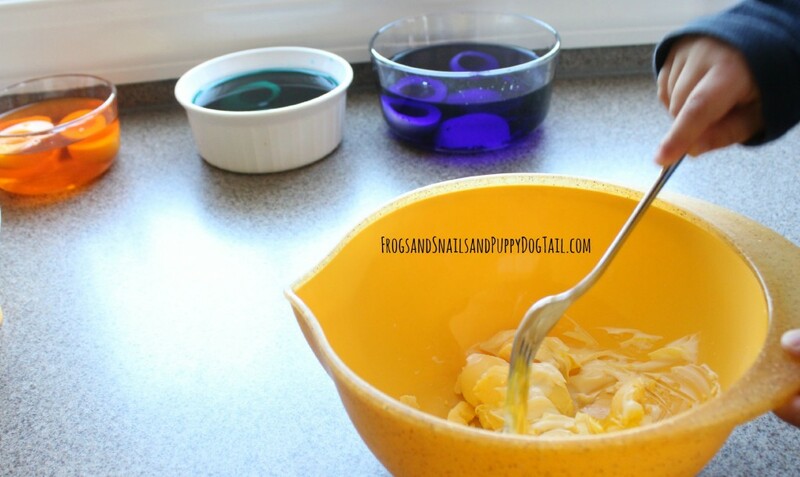 Once eggs are done sitting in the dye lay them on a paper towel for a minute to dry a little. Time to fill them up with our mix. And last the taste test! Big brother was all ready to eat the “frosting” out of the egg until little brother told him it had mayo in it. I could not help but laugh. I was going to let him try it but once little brother said that it was over. Little brother tried it and said no and baby brother said no too. However, daddy said they were yummy! So the Easter deviled eggs did turn out delicious. We just had to find the right person to try them. We eat them often at holiday meals so now we have a fun new way to make them. Now we can not wait to make these again for a large family gathering. Oh this looks so cool. 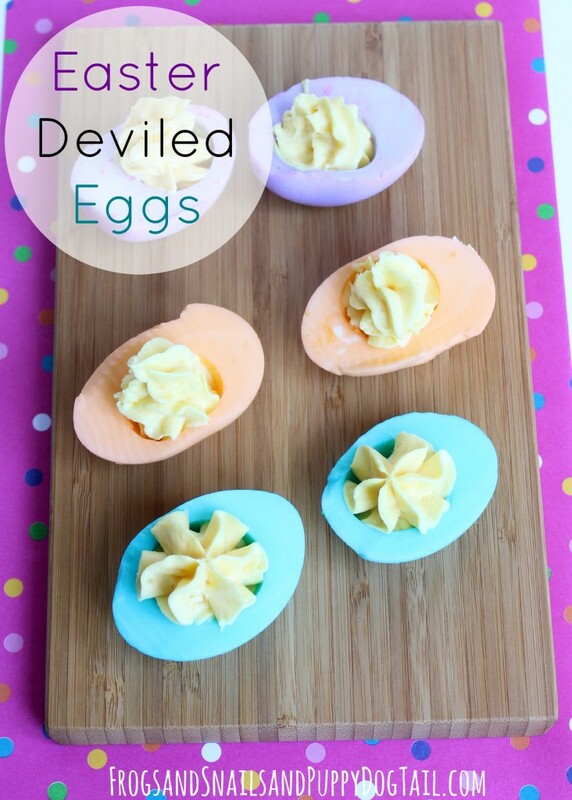 I am going to admit that I never knew what deviled eggs were. I never realised that they were egg mayo!